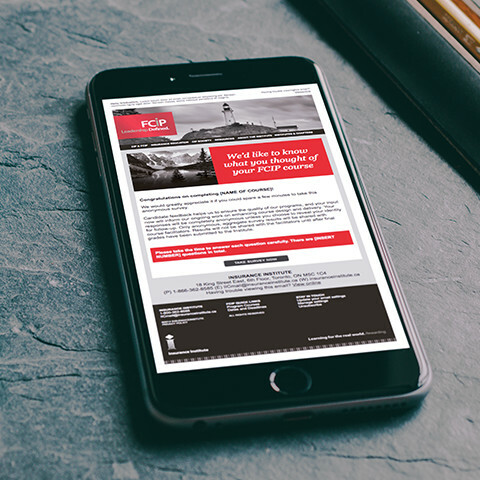 The FCIP Email template was created to allow for members of the FCIP program to receive updates on the FCIP courses being offered through the Insurance Institute of Canada. The email templates were created in Adobe Dreamweaver. Created to be as easy to manipulate as possible, these templates are housed online in a repository allowing staff in remote locations across Canada to make changes using the original document while preserving the integrity of the template.